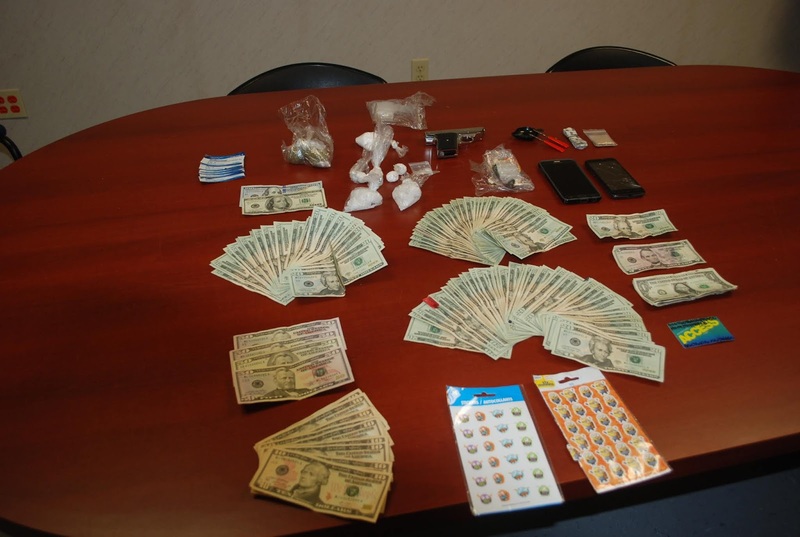 Heroin, Methamphetamine, and other drugs were seized while serving a warrant in Minersville on Thursday. On Thursday, October 11, 2018, members of the Schuylkill County District Attorney’s Office, Drug Task Force, Pennsylvania State Police, Butler Township Police Department, Frackville Borough Police Department, Minersville Borough Police Department, Schuylkill Haven Police Department and Tower City Police Department, executed a search and seizure warrant on a residence in Minersville on 48 year old Evaton McWinston Blackwood. As a result of the aforementioned searches, Blackwood was charged with violations of the Controlled Substance, Drug, Device and Cosmetic Act including Possession With the Intent to Deliver (Heroin), Possession With the Intent to Deliver (methamphetamine), Possession With the Intent to Deliver (Marihuana), Possession of a Controlled Substance (Heroin), Possession of a Controlled Substance (Cocaine), Possession of a Controlled Substance (marihuana), Possession of a Controlled Substance (Suboxone), Possession of a Controlled Substance (methamphetamine), Persons Not to Possess/Use/Manufacture, Control, Sell, Transfer Firearms, Possession of Drug Paraphernalia. The accused was arraigned by the on-call Magisterial District Judge, the Honorable Stephen Bayer, Tamaqua, and locked up in Schuylkill County Prison with Bail was set at $50,000.00.